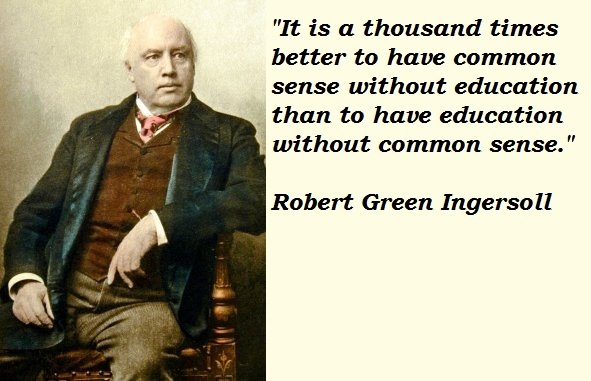 Robert Green “Bob” Ingersoll (August 11, 1833 – July 21, 1899) was an American lawyer, a Civil War veteran, political leader, and orator of the United States during the Golden Age of Free Thought, noted for his broad range of culture and his defense of agnosticism. He was nicknamed “The Great Agnostic”. This entry was posted in Entertainment and tagged Entertainment, Robert Ingersoll, Words of the week. Bookmark the permalink.